With the death of dictator Col Muammar Gaddafi we now present the greatest deaths of the worst dictators of geekdom. Gaddafi was a bad guy, but his death was not very dramatic. He just got shot. On the other hand there have been some truly spectacular deaths in the history of science-fiction. Here are five horrible dictators that got their end by being thrown, shocked, beat up and eaten. In Star Wars, Emperor Palpatine served as ruler of the Galactic Empire for decades. Under his reign tyranny and murder became common place. 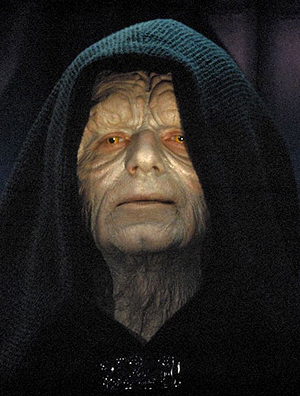 He ruled with an iron fist and took delight in destroying planets. He was the Donald Trump of space. His death actually came at the hand of his student and right-hand man Darth Vader. He was picked up and thrown down a shaft into the core of the Death Star. The energy his body gave off at death made for a great light show. The entire galaxy celebrated his death and it ended the Empire once and for all. 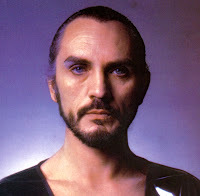 In the film Superman, the mad general from the planet Krypton was so evil that his home planet banished him and his two top soldiers to another dimension called the Phantom Zone. As further proof that incarceration does not lead to rehabilitation as soon as he was freed he set out to conquer the planet "Houston" known as Earth. 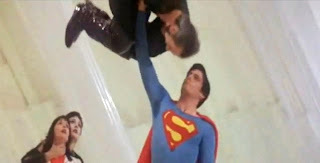 Using his super-human powers he took over that planet and demanded that everyone kneel to him. 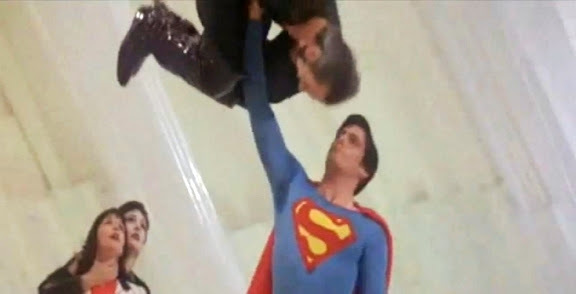 It was his arrogance that led to his undoing as he foolishly allowed his greatest enemy Superman to strip him of his powers and throw him down a valley into an icy tomb. 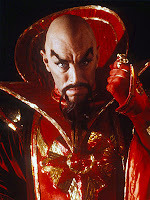 In the movie Flash Gordon (1980) the ruler of the planet Mongo "Ming the Merciless" crushed, oppressed, and enslaved not just his own planet, but many others. His decision to conquer the billions on the planet Earth was based on boredom. Using his power ring, he starts a slew of natural disasters that kill thousands and threaten to destroy the planet. His death comes from his own power ring that makes him disappear. This one may be a cheat since the ending scene shows he might still be alive. Not a bad way to go though. 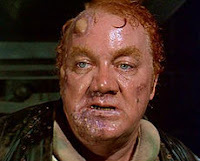 In the 1984 film based on the novel Dune Baron Vladimir Harkonnen is ruler of the industrial world of Giedi Prime. So fat and gross he can't even walk he floats around on a hoverchair cackling and fondling his servants. He's so sadistic that he has all his minions fitted with a plug to their heart so he can kill them just by pulling it out. His plans to take over are thwarted by a freaky little girl who disabled his chair and he floated through a wall and was eaten by a sandworm. In the movie Street Fighter a cruel dictator of the fictional South East Asian nation of Shadaloo, General M. Bison valued hand-to-hand combat but was more than willing to give orders to kill. He captured humanitarian workers and held them for billions in ransom. To him life was a video game. He initiated scientific experimentation on captured soldiers to create the perfect human weapon. He ended up making a big green guy with bad hair. His goal was to wipe away every ethnic group and creed to serve him. Truly a big boss. While fighting Colonel William F. Guile, the "Allied Nations" top soldier kicked him into a bank of computers fatally electrocuting him. But, wait! His suit revived him once giving him an extra life. The megalomaniac starts flying around the room before being kicked into another bank of computers and being electrocuted again. This time he ran out of quarters and died. 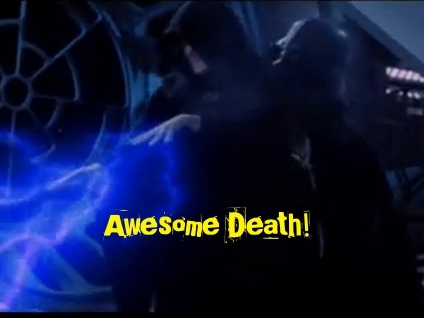 This was the greatest death of all. His death was so nice, he got it twice. Which is the greatest of all dictator deaths? If we missed one, let us know in the comments.